Large retailers/ fashion houses are collaborating with various artists and fashion designers to boost their image and bottom line. Here are some that are either coming or already happened in 2017 that I have been particularly excited about. Unless you have been sleeping under a rock, you have already heard of the Louis Vuitton X Supreme collaboration many many many times this year. The ultimate trophy of this collaboration is of course the $68,500 trunk. But that would mean sleeping on the street and eat cup o' noodle for a year!!! lol. 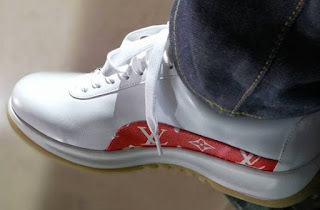 Pieces I would love to buy are the white plain calf leather sneakers overlay with Louis Vuitton signature branding on the side, a black epi slender wallet, and the chain wallet in black. The all over red with white Supreme logo is just a bit too blingy for my taste but I suppose if you are dropping a large stack, maybe you do want to let the world know that your accessories game is better than theirs! I came across this collaboration accidentally at the end of April. 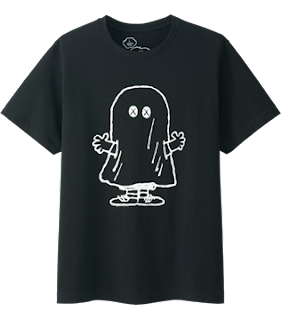 I was browsing online and somehow I wondered onto Uniqlo's website and they were selling stuff from this collab. I look at sizes that were available but my sizes were all gone so I didn't buy anything. Then a day or two later, I left for NYC and walked pass by the Uniqlo store on Fifth Avenue. I decided to pop in and voila, they have most of the t-shirts in my size available. Unfortunately the large and small Snoopy stuff animals were sold out as well as tote bags. But I was happy to get the t-shirts. 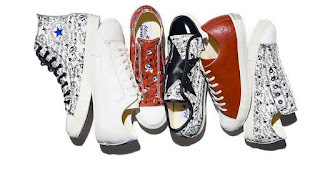 Lanvin's loss is Converse's gain! Alber Elbaz is now collaborating with Converse and releasing a new set of 6 different converse designs. They came out about month and a half ago. Sadly they are only available in Japan so to buy them, you will need either a Japanese friend who can buy them online and sent them to you or you have to get a proxy mail forwarding service in Japan to do that on your behalf. These whimsical shoes come with branded box and dust bag and they ran about $300-$400 plus shipping to US and perhaps import tax. I guess Louis Vuitton is on a roll this year. 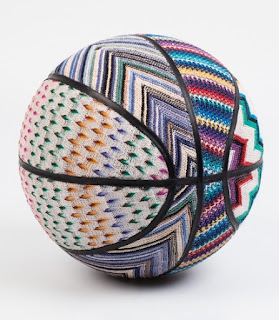 While waiting for the Supreme collaboration to drop, why not take a look at their current collaboration with fame contemporary artist Jeff Koons. Jeff, whom some of you may know, owns the auction record for the most expensive artwork ever sold at auction for a living artist. That number is $58.4 million in 2013 for a balloon dog sculpture. For this collaboration, he decided to go Old Master. 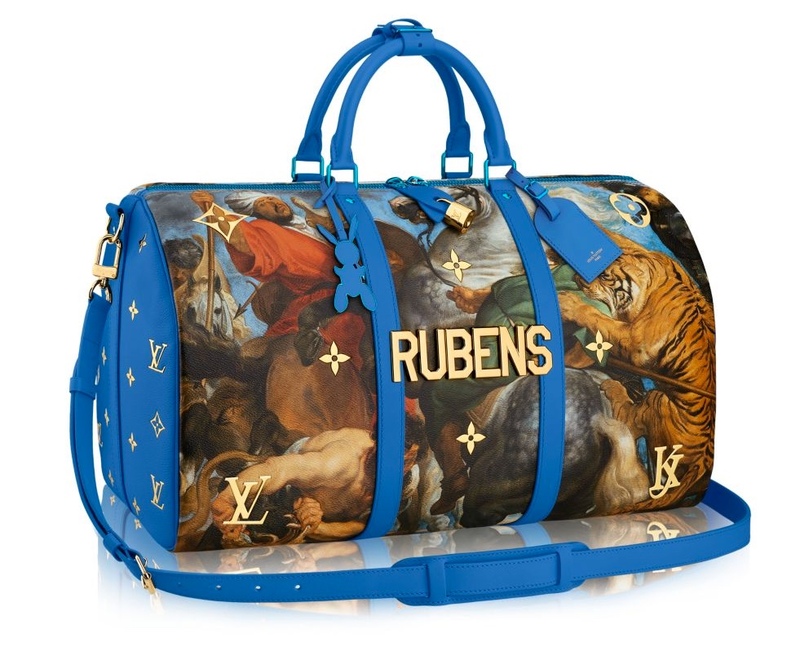 Master of kitsch, he puts artist's name in polished gold metal right on the bag along with their painting in reference to his gazing ball series. 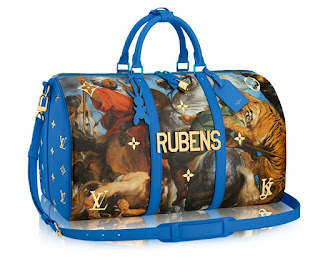 My favorite piece is the Rubens Keepall 50.